ROW Adventures leads a boat down the Lochsa River. This is a trip for those just looking to dip their toes into rafting. Josh Flanagan, owner of the local rafting outfitter Wiley E. Waters, describes it as "leisurely." Starting in Peaceful Valley, the two-hour float is calm enough to give rafters — even tubers — a chance to jump in for a swim. Rafters will encounter small rapids Flanagan calls "splash and giggles." He says it's perfect for people with young kids, or anyone looking for a relaxing outing. One level of difficulty above the scenic float, this route in western Montana poses a bit of a challenge; some prior experience is recommended. Rafters will be flanked by cliff walls for parts of the five-hour trip and see some sizable rapids. "It's not too intense," Flanagan says, "but you won't be disappointed." Flanagan offers some relief by inviting rafters to jump in a hot spring along the way (the spring is fed by glacial melt). This is a great trip for those looking to get away from it all. Flanagan says there's no cell service, and few other rafters take advantage of the river. A daunting trip for even experienced rafters, the Lochsa, in the mountains of north-central Idaho, is long and intense, with little time for rest. 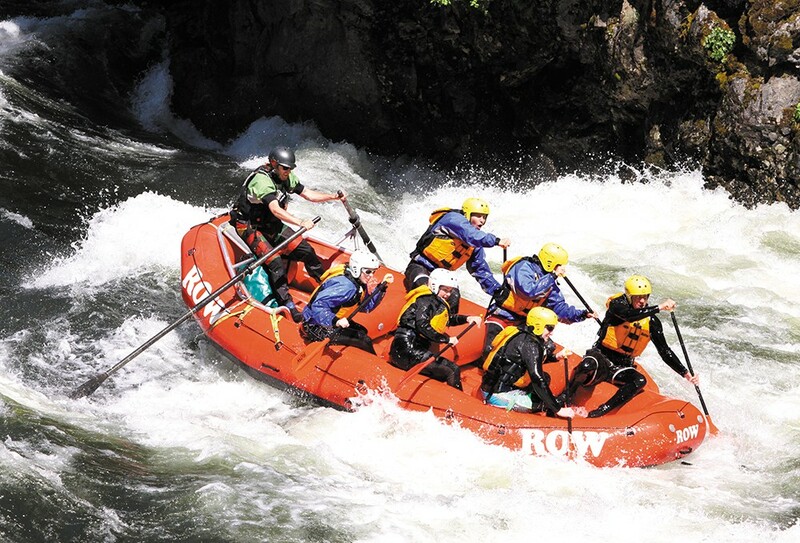 The entire trip will take around five hours, more or less, depending on the river's flow and the rafters' maneuvering. The best time of year to take this trip depends on the previous season's snowfall, but April is generally ideal. Exposed rock and back-to-back rapids make the trip so challenging that Flanagan says rafters should only try it if they have prior experience. The ROW Adventure Center makes regular trips to the Lochsa.